PET/CT - Conference of Radiation Control Program Directors, Inc.
"From advances in x-ray film and cassettes to the introduction of computers and digital images, diagnostic imaging has never stopped reinventing its technology to improve patient care. Today, diagnostic imaging is on the cusp of explosive growth in an arena known as fusion imaging. This technology melds two independent imaging modalities typically a procedure that demonstrates an organs function with one that depicts the organs anatomy to produce a diagnostically and clinically superior study." 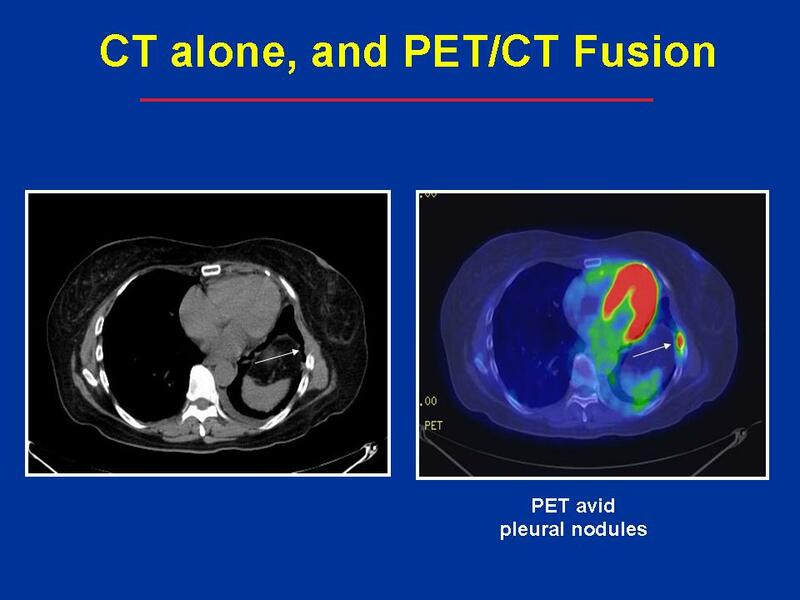 "Nuclear medicine procedures such as positron emission tomography (PET) and single photon emission computerized tomography (SPECT) are unparalleled in their ability to assess information about metabolic function, while CT and MR are superior at depicting anatomy. Until recently, clinicians had to obtain physiological and anatomical information on separate machines and use special registration software to digitally superimpose the two images. Today, new hybrid equipment is capable of performing both types of examinations simultaneously, automatically merging the data to form a composite image. By uniting metabolic function with anatomic form, fusion imaging depicts the human body with a level of precision never before achievable." The above text is from a report on the PET-CT Consensus Conference, July 31, 2002, in New Orleans, Louisiana Click here for the entire PET-CT Consensus Paper (Reproduced with permission of ASRT).